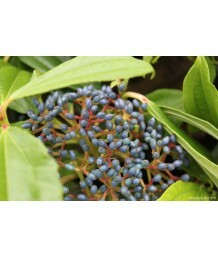 Himalayan BlueberryEvergreen shrub. Dense, mounded shrub valued for reddish-brown flowers followed b..
CA Native HuckelberyEvergreen shrub. An attractive shrub native to coastal forests. Glossy green lea..
CA Native HuckelberyEvergreen shrub. Smaller and more compact than some huckleberry selections, 'Blu..
CA Native HuckelberyEvergreen shrub. This selection of huckleberry stays relatively low and spreads ..
California Native HuckleberryEvergreen shrub. California native hybrid. 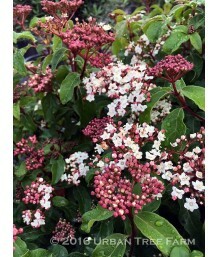 An attractive shrub native t..
David's ViburnumEvergreen shrub. Slow growing. Densely mounded form. Large leathery dark green oval ..
Japanese ViburnumEvergreen shrub. A rounded, evergreen shrub from Taiwan and Japan with purple-brown..
Sandankwa ViburnumEvergreen shrub. Moderate growth rate. Densely rounded form. 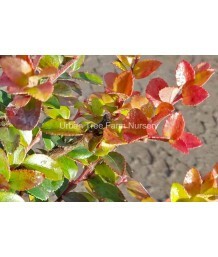 Medium-sized leathery..
Roundleaf LaurustinusEvergreen shrub. Moderate growth rate. Dense upright oval form. Medium-sized da..
Spring Bouquet ViburnumEvergreen shrub. Moderate growth rate. Densely rounded form. Medium-sized dar..